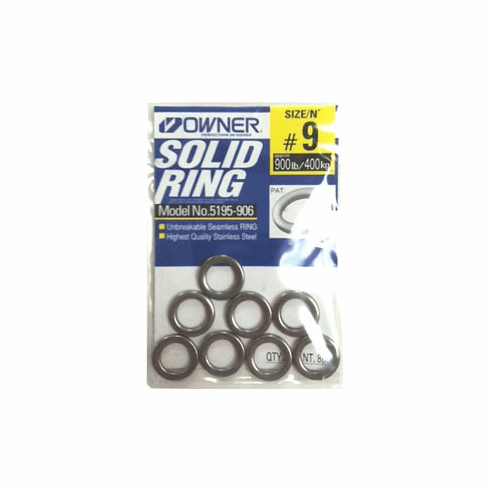 Owner #9 Solid Stainless Steel Solid Rings Miami Fishing Supply, complete selection of offshore fishing tackle, marine electronics and boat supplies. Owner seamless stainless steel solid rings. Safe for connecting monofilament, fluoro carbon, wire leaders and braided lines. Apro. 900Lb test. 9mm I.D.